The Assassin's Creed Website countdown timer has reached an end and with it has come a "Reveal Trailer" more commonly known as an announcement trailer. Unfortunately the trailer doe not show any gameplay footage although it does give the general idea on where the game will be set and what features will be available. 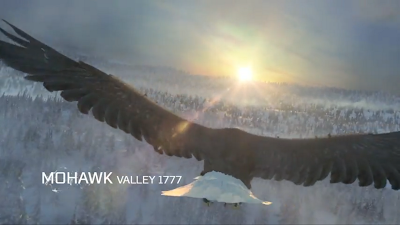 The trailers start with an Eagle soaring over Mohawk Valley towards a beautiful sunrise. The vast valley stretching for miles showing how large the game actually is. The valley is covered in a thick layer of snow. A glimpse of the British flag and some dead bodies are shown lying in the snow with the morning sun beaming through the trees. Flashbacks to the night before show a glimpse off an assassin hold an axe shaped as the Assassin's Creed logo. This protagonist is no other than the assassin, Ratohnaké:ton, However he calls himself Connor. He is watching a group of British soldiers from a distance. 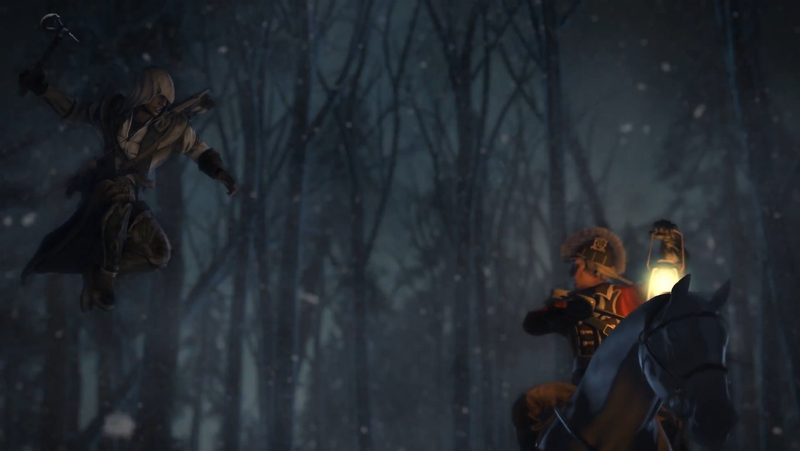 Some glimpse of the fight between Connor and some British soldiers are shown. Connor use speed to his advantage and deals with the soldiers in a couple of seconds. He finish the final soldier off with a leap from above smashing him in the head with his axe. After the flashback we see the dead British soldiers are getting ripped apart by a pack of wolves, confirming that there will be animals (hopefully similar to red dead redemption). Connor is then seen running in the trees jumping from branch to branch. Similar to navigating the rooftops in the earlier games. Connor suddenly stops and the camera pans out to view a huge battlefield. George Washington is now seen commanding his troops into battle. "The time is now near at hand which must determine whether Americans are to be free men or slaves! Our cruel and unrelenting enemy leaves us only the choice of brave resistance or the most abject submission. We have therefore resolved to conquer, or die." This is quite similar to a real George Washington quote. 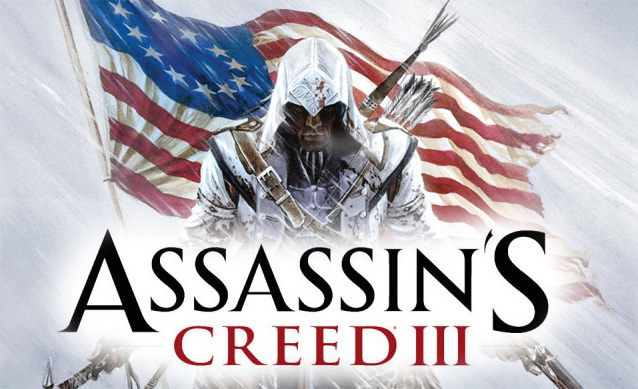 The American soldiers then start charging at the British as the Assassin's Creed 3 logo appears. October 31st is plastered as the official release date for the Playstation 3 and the Xbox 360. PC owners will be disappointed to see the small text at the bottom saying "PC format release to be confirmed" sadly Ubisoft seem to be delaying the game for PC this is not a huge surprise though as they have delayed the game for PC users ever since the original game. Ubisoft has also confirmed Assassin's Creed III will be available on the Wii U before the 2012 Holiday Season.